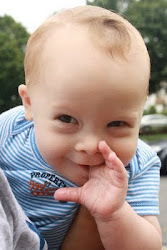 The Baby Blogs: Down Syndrome Awareness Month: DIGNITY Matters! And here is the official statement from the United States government, thus validating my dignity on a governmental level and celebrating my existence, as we should everyone's! During Down Syndrome Awareness Month, we celebrate the significant contributions that people with Down syndrome make to their families, to their communities, and to our Nation. We also salute the family members, caregivers, medical professionals, and advocates who have dedicated themselves to ensuring that these extraordinary people enjoy lives filled with love and increasing opportunity. As a result of these remarkable efforts, people with Down syndrome are living longer, more enriching lives than ever before. This month, we renew our Nation’s strong commitment to promoting the health, well-being, and inherent dignity of all children and adults with Down syndrome. Through sustained advancements in education, research, and advocacy, we will further empower those with Down syndrome to pursue the American Dream of independence, pride in work, and full participation in civil society. We will also continue to increase public awareness regarding the true nature of this condition, and to dispel the stubborn myths about the degree to which it is disabling. 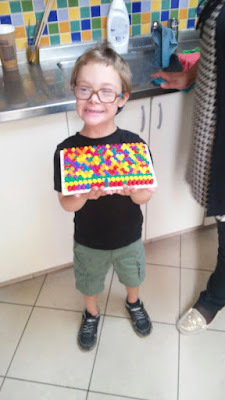 Sadly, there remain too many people – both in the United States and throughout the world – that still see Down syndrome as an excuse to ignore or discard human life. This sentiment is and will always be tragically misguided. We must always be vigilant in defending and promoting the unique and special gifts of all citizens in need. We should not tolerate any discrimination against them, as all people have inherent dignity. The approximately 250,000 Americans with Down syndrome truly embody the great spirit of our Nation. They inspire joy, kindness, and wonder in our families, our workplaces, and our communities. We will always endeavor to make sure that their precious gifts are never maligned or taken for granted.